Scott’s camp story began at Iroquois Springs, where he spent every summer of his childhood developing a true love and passion for overnight camp. Scott knew from an early age that camp was going to play a significant part in his life even after his camper days were over. Upon graduating from Boston University with a degree in Human Physiology, Scott was eager to return to his roots and assumed a full-time position in the camp industry. Working at Woodmont Day Camp, a private day camp in Rockland County, Scott spent 8 years there as an Assistant Director which provided him a unique directorial perspective, allowing him to draw on both his day and overnight camp backgrounds. 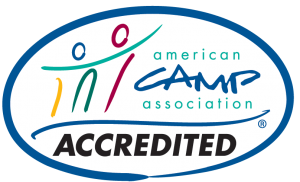 Additionally, Scott is an active member of the American Camp Association where his role as an ACA Lead Visitor offers him the opportunity to work closely with fellow ACA Accredited Camps, advising and verifying their compliance with those safety standards necessary for accreditation. Scott’s passion for providing a safe and meaningful summer experience for every camper under his care is evident throughout all facets of camp. His strong camp background allows Scott to understand, firsthand the positive impact a summer can have on a child, and his dedication, passion, and enthusiasm for camp are the hallmarks of his leadership of Pocono Springs. Annie started at overnight camp at home in Canada at the early age of 8 and has been involved in camping ever since. She spent nine summers at a premiere overnight camp in Maine where she held many roles from an Activity Specialist in both Ropes and Small Crafts, and a Campus Leader for 5 amazing summers. Annie has a Bachelors of Science from St. Francis Xavier University and Bachelor of Education degree from Crandall University in Canada. Annie spent 5 years teaching middle school and high school Math and Science before moving into the full-time role with Pocono Springs in 2016. Annie is a founding member of the Pocono Springs family and has been an integral part of the development of our culture and program. As the Associate Director, Annie is involved in all aspects of the camp experience. Annie believes wholeheartedly in the impact the camp experience can have on the lives of our campers and staff. The social and life skills that campers leave camp with, along with the independence, confidence, friendships, and memories are something she believes are so valuable in a child’s development and she loves guiding our camp staff in developing these things for our campers. Tony Stein is a 3rd generation Owner/Director of Camp Echo Lake, an overnight camp in the Adirondack Mountains, which was started by his grandparents in 1946. Tony spent his first summer at camp when he was two months old and has been the director of Echo Lake since 1995. He has served on the American Camp Association’s National Board of Directors, been President of the ACA’s New York Section, and has served on the Board of Directors of Project Morry since its inception in 1996. Tony is driven by his belief that summer camp is an entirely unique and transformative experience for children. 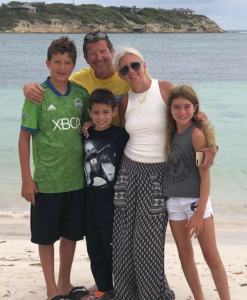 Gordon Josey is the owner/director of a prestigious overnight camp in West V irginia, Camp Twin Creeks, as well as the owner/director of Breezemont Day Camp in Armonk, New York and, has more than 20 years of vast camping experience. He started working in camping in 1990 as a counselor, before becoming Head Counselor and Associate Director of various camps in Pennsylvania and Maine. Gordon is committed to providing a safe and fun environment for campers and brings enthusiasm and years of expertise and innovation to his camps.